Today, 03th of October, European Parliament voted in favour of the motion for a resolution on distributed ledger technologies and blockchains: building trust with disintermediation. All political group members supported the resolution, which sends a positive message that politicians see this technology as benefiting Europe, a press release from MEP Antanas Guoga's office states. "It shows that in Europe there is a huge positive view towards blockchain technology. Now we, members of the European Parliament have expressed our view by adopting the resolution. The resolution sends us a clear message: blockchain technology is a new technology which can benefit Europe in many areas by bringing more efficiency and transparency for example in supply chain, energy, public services, financial services to name a few. However, the technology is still in a premature state, so we as decision makers should be open-minded towards this technology. Let's not create unnecessary regulatory obstacles which can hinder the development of blockchain." said MEP Antanas Guoga, who is a great enthusiast of all innovations and specially of the blockchain technology. The resolution calls for progressive and innovation-friendly regulation. "Blockchain and distributed ledger technologies in general have a strong disruptive element that will affect many sectors," said MEP Eva Kaili, the author of the resolution. "Financial services is just one. The resolution also looked at the effects of the technologies leading to fewer intermediaries in other sectors such as energy, health care, education, creative industries as well as the public sector. We experience a strong entrepreneurial interest in blockchain. We, as regulators, need to make sure that all this effort will be embraced by the necessary institutional and legal certain" MEP E. Kaili said. The EU has already been promoting the technology. For example, it has already invested more than €80 million in projects supporting the use of blockchain. The European Commission has said around €300 million more will be allocated by 2020. "In Europe we have a lot of potential to lead in new technologies such as blockchain technology or AI. In fact, we are already very good at it. Now we just need not to create unnecessary obstacles with overregulation. Instead we should encourage learning process in our member states to learn about the potential of these new technologies through various initiatives." MEP A. Guoga said. Last autumn he founded the Blockchain Centre in Vilnius - the first international blockchain centre in Europe who is working to educate people about blockchain technology, to help blockchain startups to establish their business in Europe. 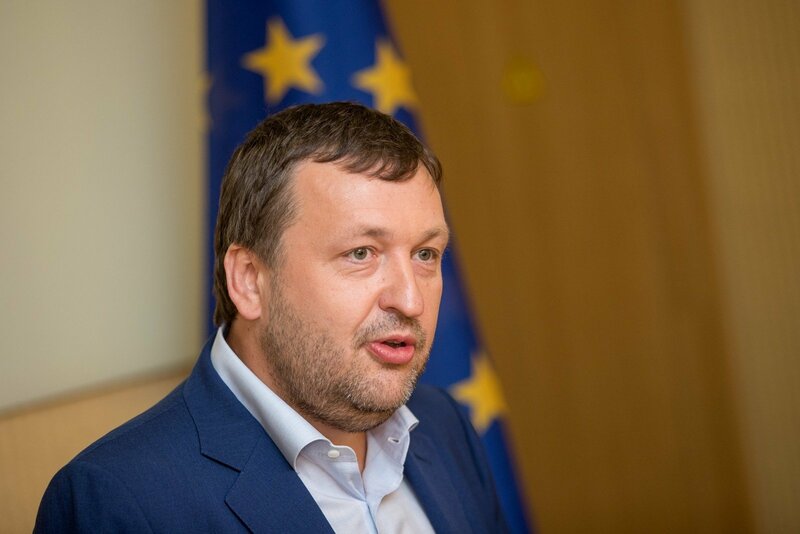 A few weeks ago, MEP A. Guoga and his team organized a huge ICT event in Vilnius, Lithuania called #SWITCH! which was dedicated to blockchain technology. More than 15 000 participants attended the event which shows that people are eager to learn about the potential of new technologies. "So before regulating any new technology first we need to educate ourselves as well as European citizens about it." MEP A. Guoga emphasized.